The government has announced that Class 2 National Insurance contributions (NIC) will not be abolished in the current parliament. It had been due to be abolished in April 2019. Class 2 NIC is payable on self-employed profits, currently at the rate of £2.95 per week. There is no liability if profits are below the small profits threshold, currently £6,205 per year. However, in that situation the individual can pay Class 2 NIC voluntarily, in order to maintain their NIC record and entitlement to the state pension and other contributory benefits. The announcement that Class 2 will not be abolished in the current parliament was made in a written statement on 6 September 2018 by Robert Jenrick MP, the Exchequer Secretary to the Treasury. The main reason given is concern about the impact the change would have on self-employed people with low profits. Once Class 2 was abolished, such people could still pay NICs voluntarily in order to maintain their NIC record, but this would have to be at the higher Class 3 rate (currently £14.65 per week). The statement notes that although the abolition of Class 2 NICs was intended to simplify the tax system for the self-employed, the options to avoid the impact on low earners “introduce greater complexity to the tax system, undermining the original objective of the policy”. The government has been looking at reform of NIC for the self-employed for some time. The proposed abolition had already been postponed from the original planned date of April 2018. The intention was that the abolition of Class 2 would be accompanied by an increase in Class 4 NIC, which is payable on profits over £8,424 per year. The government says it will keep the issue under review “in the context of the wider tax system and the sustainability of the public finances”. The government still intends to legislate for reforms to the NIC treatment of termination payments and income from sporting testimonials, set out in the draft NICs Bill published on 5 December 2016, which are intended to ensure the NICs treatment is consistent with the treatment of income tax in previous Finance Acts. Classes 2 and 4 NIC were to be merged from 6 April 2018, with class 2 NIC abolished from that date. This merger will now take place from 6 April 2019. 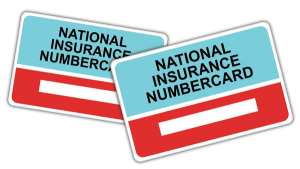 In a written statement to the House of Commons released late yesterday, it was announced that the abolition of class 2 national insurance contributions (NIC) would be delayed by one year to 6 April 2019. This delay was justified by a need to consult more fully with interested parties in respect of the effect of the abolition of class 2 NIC on lower earners. NATIONAL INSURANCE PAYMENTS are part of all taxpayers’ lives. As they’re currently under governmental review in some areas, let’s look at some of the overall information from the HMRC website. The class you pay depends on your employment status and how much you earn, and whether you have any gaps in your National Insurance record.